The term ‘indigestion’ is a layman’s term and is used to cover the symptoms of a few different medical conditions. It generally refers to an uncomfortable sensation in your lower chest or upper abdomen during or after a meal, perhaps accompanied by belching or bloating. Below, we have mentioned just some of the symptoms that are described as indigestion. For a full discussion of the medical conditions underlying the symptoms, please seek information on conditions such as heartburn, reflux, lactose intolerance and flatulence. Indigestion mainly happens after a meal. Most people will suffer from episodes of indigestion from time to time — for example, if they eat too quickly, or eat too much. However, if you have a recurring problem or suddenly suffer from indigestion when you haven’t before, you should see your doctor. Some of the symptoms described as indigestion are pain and a feeling of fullness, discomfort or a burning sensation in the chest (heartburn) and upper abdomen. Heartburn is caused by regurgitation of the acidic stomach contents up into the oesophagus and possibly the throat, known as gastro-oesophageal reflux by doctors. you have pain on the top right-hand side of your abdomen. 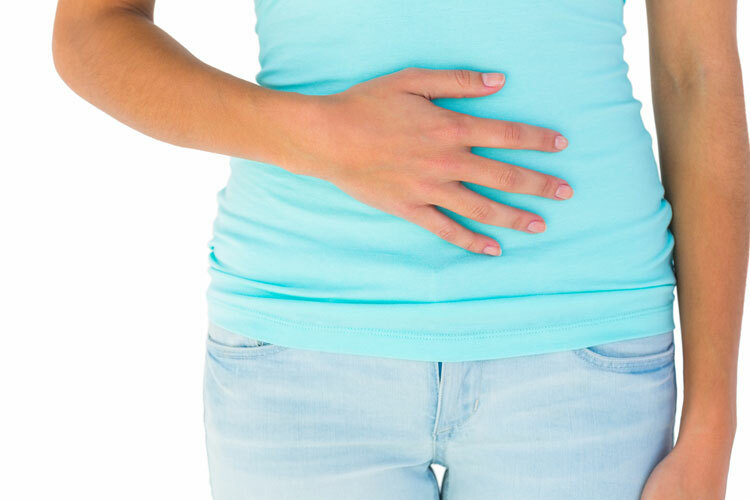 This is particularly important if you are over 45 and have a history of gastrointestinal problems in the family, especially if you regularly take aspirin or pain killers for treatment of arthritis, and regularly smoke or consume alcohol. If you have persistent indigestion, your doctor will examine you and may suggest tests such as an endoscopy (where a long tube is passed down your throat to view your stomach); a barium meal test (which involves swallowing a barium solution that will show up on X-rays of your chest and stomach); or an ultrasound (which can diagnose gallstones). Your doctor can advise you whether medication is necessary to treat your indigestion, help identify any lifestyle triggers and suggest ways to modify your lifestyle and eating habits to try to avoid it. 1. Mayo Clinic. Indigestion. Reviewed May 2013. http://www.mayoclinic.org/diseases-conditions/indigestion/basics/definition/con-20034440 (accessed Jan 2016). 2. NHS Choices. Indigestion. Last reviewed Sept 2014. http://www.nhs.uk/conditions/Indigestion/Pages/Introduction.aspx (accessed Jan 2016).